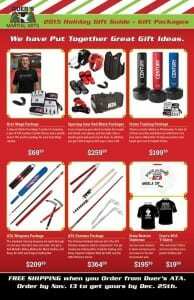 Get The Martial Artist in Your These Great Gifts. If you missed out on the last sale there is still time to get your gifts for the holidays. You can order them from us at the front desk. 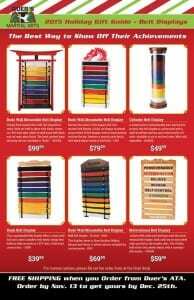 You will get FREE SHIPPING on your order. Order by November 13 to get yours. You can download the posters here Just click on the small image of the poster.